Nice. Added to my hit list. 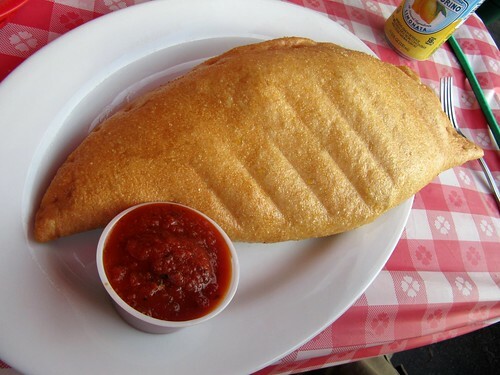 For your information: Please note that a fried calzone is not called a calzone its called a PANZZAROTTI since its deep fried. In Italy the panzzarotties don’t have much heavy ingredients as fillings, only simple but very fresh which become extra crispy outside & super juicy inside. The original ancient calzones were shaped round like a big pie baked in a large round casserole ,(family style size) then came the modern version of 1/2 moon shape for individual size portions. Panzzarotties are very popular & famous in BARI, PUGLIA ! 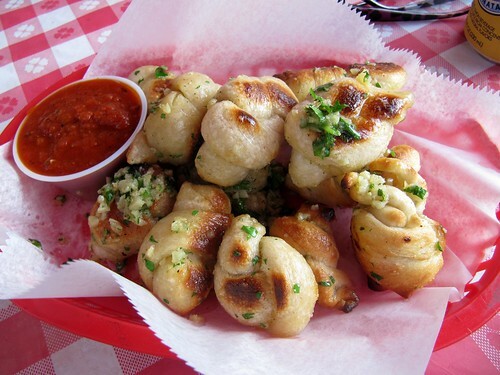 omg, I haven’t seen garlic knots since I left New York! Napolitano’s is on our list for sure. Thank you for the info. Love a gooey fried dough with cheese- panzarotti for me.